Last September we renovated our kitchen. We chose an Electrolux dishwasher because it was so quiet. Within a few weeks of installation, we discovered that after a cycle was completed, the green light indicating the completion did not come on for several minutes. It soon became hours before we were able to wash another load. 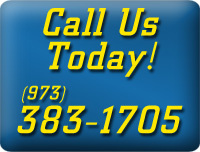 We called your service center and a repairman from Dan Marc Appliance came within a reasonable time. He telephoned your “tech guy” and was told our problem was normal-even though we explained that the time before resetting was getting longer and longer. Eventually when the time period was now a few days before we could use the dishwasher again, we called the service center once again and requested a different repair company. This time Mark from Ayers Appliance Repair in Lafayettte, NJ came. He knew exactly what the problem was, ordered the part and installed in as soon as it arrived. We were very pleased with his courtesy, efficiency and expertise. We would highly recommend Ayers Appliance Repair. This entry was posted in Ayers Appliance Repair. Bookmark the permalink. ©Ayers Appliance Repair 2008- | Contact Us. | Locate Us. All brand names and logos appearing on this site are copyrighted by their respective companies.